Welcome to the weekly Tout Wars FAAB report, on its new home right here on the Tout Wars site. Each week, we’ll review the free agent acquisitions from all five leagues, with commentary from a league member, as well as yours truly. We changed the timing of the weekly run to 1 PM ET every Sunday, with the report posted later that afternoon so you’ll have time to digest and apply to your own leagues. In addition, I’ll be joining Lawr Michaels and Justin Mason on the Tout Wars Hour on the FNTSY Network every Sunday at 3:20 PM ET to discuss the results. You can find the complete list of Tout Warriors here. Everyone starts with 1000 FAAB units, less any penalty incurred by finishing below a designated point in the standings. This is a means of keeping everyone motivated to keep playing all season long. The minimum bid is $0. FAAB units can be traded as well as rebated for players released off the DL. The report will list all winning bids along with unsuccessful tries and contingencies. This provides the maximum level of information to help gauge interest on the players. The American and National League only formats are 12-team leagues, as is the new points-based head to head league, The Mixed Auction and Draft each have 15 clubs. All the leagues have four reserves with an unlimited DL, expect the head to head league, which allows six reserves. The headings above each league are links to publicly accessible sites where you can see standings, roster and a complete review of transactions. The initial auctions and drafts can be found here. A combination of FAAB rebates for DL players in addition to a paucity of difference-making crossover players left a couple AL Toutians with deep pockets. Rob Leibowitz is glad Andrew McCutchen switched leagues as he tries to climb closer to the threshold to lose FAAB for next season. 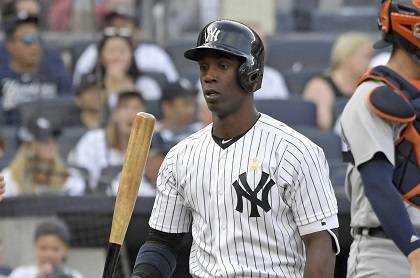 Cutch has a job now, we’ll see how much he pays once Aaron Judge returns. Jeff Erickson was also able to lighten the wallet, grabbing Astros starter Framber Valdez. Valdez is working in Lance McCullers Jr.’s spot, allowing just two earned runs in his 14.1 innings, albeit with only 10 whiffs and seven walks. Still, starters, especially for contending teams are hard to come by. Lucas Duda was the big-ticket item, but with Freddie Freeman in two, Duda will likely be relegated to pinch-hitting duties, perhaps seeing some outfield time after a double-switch. Starting pitching was the next order of business with five arms scheduled to work this week added to Tout rosters. My personal rank matches that of the bids with the Braves Touki Toussaint leading the way as he’s been announced to open the interleague series with Boston on Labor Day. Daniel Poncedeleon may lose his spot once Adam Wainwright and/or Michael Wacha return, but he has a nice matchup with Detroit this week. Zach Davies makes his return from the DL on Monday, the first of a double -dip. Without a lot of FAAB, I landed on Bryan Mitchell, someone I was expecting to transition to a usable starter after the Yankees dealt him to San Diego. 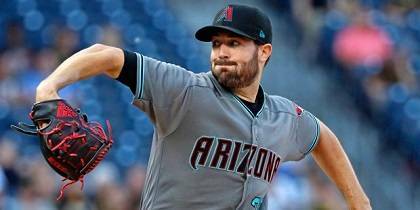 Robbie Ray’s 11.6 K/9 is excellent, but he’s only pitched more than 5.1 innings once in his last 10 outing so his raw strikeout total isn’t especially high. I’m a little surprised there wasn’t more interest on David Robertson. Yeah, it’s still a committee but my money is on Robertson to get the bulk of the saves in Aroldis Chapman’s absence. 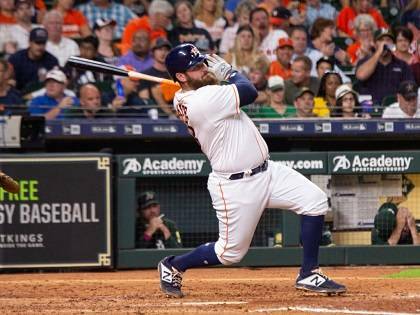 If you’ve been using Evan Gattis for your catcher, you understand why Tyler White topped the bidding in the mixed Draft league. White has usurped primary DH duties, posting a 1.097 OPS with nine homers over the past month. The competitors are looking for any help down the stretch in an effort to track down league leader Jake Ciely. 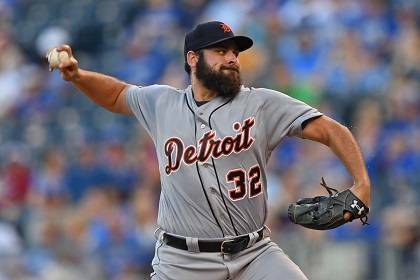 Dr. Roto fortified his pitching staff, hoping the struggling Michael Fulmer returns to form. The righty has two starts next week, facing the White Sox and Cardinals. Michel Beller from SI.com is the 2018 Tout Daily Champion, winning the Survivor Tournament Championship by a slim 4.05 points. Todd Zola (pretend I’m not writing this) came in second followed by Clay Link and Bret Sayre. This season, Tout Daily used a 3-day tournament to crown it’s champion, with the cumulative score determining the winner. Beller had just under a 10-point lead over Link and Zola heading into the final night, needing almost every bit of it to grab the title and have a menu item named in his honor at the annual Tout Wars party at Foley’s in New York City. Leading Beller’s team was Carlos Carrasco and his 7.2 innings of scoreless ball, fanning 11 Twins, allowing only four hits. As strong as that performance was, it took a late, meaningless, insignificant and downright stat-padding, selfish homer from Nelson Cruz to push Beller ahead of Zola (again, pretend I’m not writing this). Congratulations to Michael, Tout Wars is anxiously awaiting your selection for the party at Foley’s. Stay tuned as we’ll be announcing details for the football version of Tout Daily soon. Welcome to the weekly Tout Wars FAAB report, on its new home right here on the Tout Wars site. Each week, we’ll review the free agent acquisitions from all five leagues, with commentary from a league member, as well as yours truly. We changed the timing of the weekly run to 1 PM ET every Sunday, with the report posted later that afternoon so you’ll have time to digest and apply to your own leagues. In addition, I’ll be joining Lawr Michaels and Justin Mason on the Tout Wars Hour on the FNTSY Network every Sunday at 3:20 PM ET to discuss the results. You can find the complete list of Tout Warriors here. Everyone starts with 1000 FAAB units, less any penalty incurred by finishing below a designated point in the standings. This is a means of keeping everyone motivated to keep playing all season long. The minimum bid is $0. 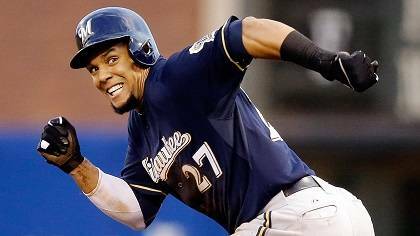 FAAB units can be traded as well as rebated for players released off the DL. The report will list all winning bids along with unsuccessful tries and contingencies. This provides the maximum level of information to help gauge interest on the players. The American and National League only formats are 12-team leagues, as is the new points-based head to head league, The Mixed Auction and Draft each have 15 clubs. All the leagues have four reserves with an unlimited DL, expect the head to head league, which allows six reserves. The headings above each league are links to publicly accessible sites where you can see standings, roster and a complete review of transactions. The initial auctions and drafts can be found here. After losing his regular gig lead to Mike Podhorzer dropping Gomez, Glenn Colton and Rick Wolf jumped on the free agent, perhaps because some of the lost playing time would be recaptured with Mallex Smith on the DL. 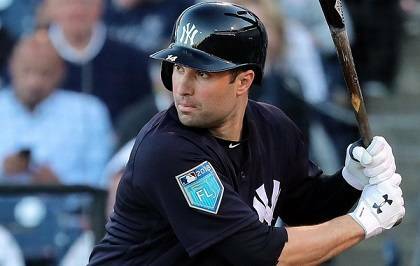 Colton and the Wolfman also grabbed Yankees first-sacker Luke Voit who is garnering most of the at bats at the position with Neil Walker covering second (Gleyber Torres filling in for the injured Did Gregorius) and Greg Bird a non-factor. Jason Collette is rolling the dice Stephen Gonsalves figures something out after first two outings where he allowed eight runs in a combined 6.1 frames. His minor league track record suggests better days lie ahead. Despite the Giants not yet officially confirming Chris Stratton will remain in their rotation, likely grabbing two starts, Steve Gardner took the chance with the week’s highest NL Tout bid. Stratton began the season on a roll, before slowing down and eventually being demoted. He tossed six innings of four-hit ball against the Mets earlier in the week, allowing just two runs. My personal quest for wins and strikeouts landed me on Jason Vargas and Jefry Rodriguez. When setting my bids this week, I noticed no must add players who will push up the bidding. With a small FAAB budget, I spent $13 (no other bids) on Sam Gaviglio who has two starts against the Orioles and Marlins. I took a chance on Pat Neshek as saves are close and a couple extra could make a big difference in the standings. Finally, I put in a bunch of $0 bids on catchers trying to find a Buster Posey replacement and ended up with Caleb Joseph. I might be forced to stream catcher for the rest-of-the-season. Zach Steinhorn spent the most on single player and got Ramón Laureano for $56. 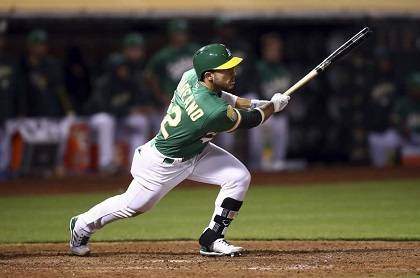 After a slow start, everything is falling for Laureano who has a .304 AVG while striking out 35% of the time. I was a little surprised Ian Kinsler went for only $3 to the Tim Heaney (overall leader). Kinsler is likely the Red Sox second baseman for the rest-of-season. Ray Flower’s pulled off a sneaky good move by picking up Antonio Senzatela for $21. Senzatela has been great this past month can be helpful this upcoming month. I like Jeff’s Gaviglio gambit as the Jays righty has pitched well as of late, drawing a couple of beatable offenses, though the Orioles have quietly hit righthanders hard since the break. On the surface, the Carlos Martinez pickup may seem curious since he’s been moved to the bullpen. But, would it be that surprising if he becomes the Cardinals closer down the stretch? Speaking of curious moves, I’m bit sure why Tim McCullough didn’t bid on Michael Kopech while spending an even hundred on Jake Junis and Lucas Giolito. I understand those bids, especially Giolito as he’s throwing better since the break, but Kopech is the difference maker. Keep in mind, if you’re picking up pitchers with the plan on keeping them for the final month, an impending two-start week is nice, but they’re not likely to have another the rest of the season. A full season for a starter is usually 32 outings. That’s six weeks with a double dip, or one every four or five weeks. The rich get richer as league leader Jake Ciely snagged Kopech. Keep in mind that unlike most H2H leagues, Tout Wars version doesn’t break off into playoffs. 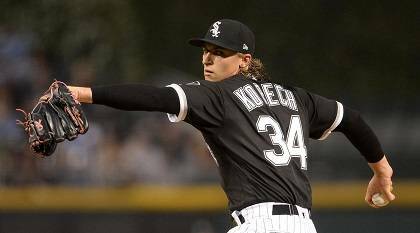 There’s no indication if Kopech will be shut down, hurting teams in leagues where he’d be unavailable for the playoffs. Know thy rules. Taylor Ward is an interesting player. In 2017, he spent the season behind the plate, finishing with Double-A Mobile. Ward began this season Double-A before being advanced to Triple-A Salt Lake. The catch is, Ward ha spent the entire year at the hot corner. Had someone been prescient enough to draft him in March, Ward would be eligible at catcher. However, since he wasn’t rostered, he’s eligible at the spot he played most in the minors – third base. In season, you can throw scarcity out the window, it’s all about the upgrade over the player being replaced. That said, chances are the weakest player on most teams is a backstop so in leagues where Ward has catcher eligibility, he could be a bigger upgrade than replacing a 3B or CI. Regardless, his power/speed combo with full time action is in play for all formats. Andy Behrens is one of the unsung heroes of the industry for the work he does with the Fantasy Sports Writers Association. However, with all due respect, the long-time Yahoo! 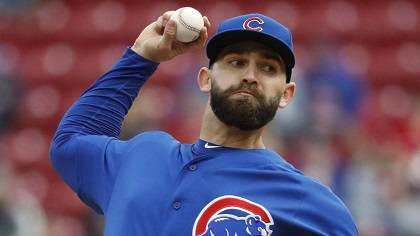 Sports stalwart’s $33 bid on Tyler Chatwood was about $53 too high. Admittedly, I’m looking at my second straight year finishing second to last in this league, so maybe it’s not my place to comment. Faced with the choice of Chatwood or Jason Vargas to fortify my pitching in an effort to leap to third to last, I eschewed both, hoping Carlos Martinez’s move to the bullpen clears the way for Adam Wainwright to return to the surging Cardinals rotation. I’ll be taking a zero, but he’ll ostensibly replace someone like Matt Strahm so it’s not a huge loss. Last week, I came up with the bright idea to sneak Taylor Ward onto my roster before he was promoted to the Majors. Willing to eat a week of zeros from his position if necessary, I was overjoyed just one day later when I found out that his imminent promotion was in fact coming right away. But I forgot to cover one of my bases, as I erroneously put Ward in an illegal position and was forced to ship him back to waivers. So, one week later I put in a significantly higher bid of 56, which was enough to top Derek VanRiper’s runner-up bid of 33. Ward may not be eligible at catcher in Tout Wars (he is eligible at that position in many other leagues, making him more valuable in those formats), but I believe in his bat anyways. The 24-year-old hit .349 with 14 homers and 18 steals in the Minors this season, and he could be the best offensive player who will come to the Majors from this point forward. As you can tell, I’m skeptical that Vladimir Guerrero Jr. or Eloy Jimenez will get the chance to reward owners who have been stashing them. Todd complimented this league last week for their attention to the waiver wire, and the group did not disappoint this time around. Even though Tim Heaney has this competition wrapped up, 12 of the 15 owners took the time to place at least one bid. After Ward, the next highest price for a player was Scott Pianowski’s 49 fee for Rafael Ortega. 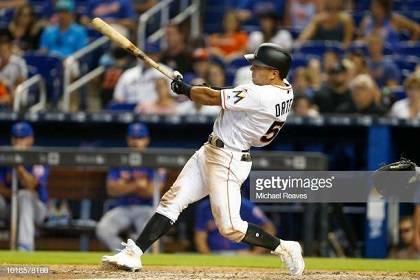 Ortega did not post a game-changing steals total in the Minors this year, but he has swiped four bags in recent days with the Marlins and could move the needle in a coveted category. Van Riper’s consolation prize for missing out on Ward was a 33 winning bid on David Bote, who has had already had some memorable moments as a member of the Cubs. The low-cost bid that caught my eye this week was Heaney’s 6 addition of Ryan McMahon. I’m not sure how the Rockies are going to fit McMahon into their lineup, but I feel like he is a better hitter than Ian Desmond, who is well-paid by Colorado and also happens to be on my roster. 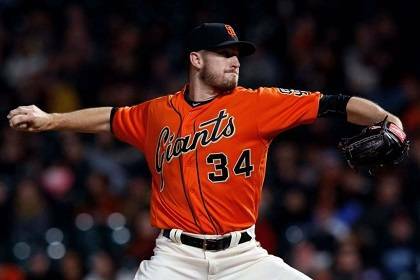 Call me crazy, but I like Tim Heaney’s pickup of Ty Blach. Yes, Ty Blach. He has a two-start week on the docket, the first against the Mets, one of the league’s most futile clubs versus lefties. The second is an interleague tilt with Texas visiting AT&T. Blach will enjoy the platoon edge on many of the Rangers top hitters, plus the visitors have to leave their DH on the bench. It hasn’t been the best season for Anthony Perri, who always grinds anyways. But, with the FAAB penalty incurred by those finishing below 75 points in this league, Anthony has additional incentive to keep plugging away, like he’s doing this week. Hey look, another pickup of Blach, maybe I’m not so crazy after all. We’ve talked a lot about fishing for the two-start option in this H2H league. I like what Jeff Mans did this week. Ryan Yarbrough won’t be listed as starter in some places as he’s been coming in as the follower. However, Yarbrough lines up to pitch the bulk of the middle innings against the Royals then Red Sox, a better setup than some two-start options. The Boston half is of course perilous, but at least it’s in The Trop and the Red Sox are less effective versus southpaws than they are facing righthanders. Jeff Boggis lapped the field in the final week of the Tout Daily regular season. Boggis’ 177.4 points easily bested Steve Gardner’s 143.95 and Scott Pianowski’s 135. 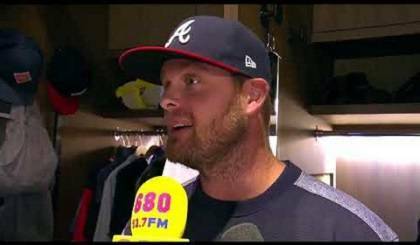 Jeff’s lineup featured Corey Kluber as well as the scorching sticks of Ronald Acuna Jr. and Kolten Wong. Check out Jeff’s complete roster below. Despite his stellar score, Jeff did not qualify for the Survivor Championship Tournament. The last three Golden Tickets were secured by Period 5 winner Justin Mason, Michael Beller and Gene McCaffrey. For his period winning effort, Justin also wins a complementary t-shirt from Rotowear. Rick Wolf captured the wild card entry by finishing with the most points over the course of the 20-week competition. Beller finished in second with 2016 and 2017 overall points leader Todd Zola winding up in third. Next week begins the 3-day Survivor Finals. The first day features the 16 Golden Ticket winners. The top-eight scores advance to the next round, then the top-four play in the third and final day. The person with the most points scored over the entire three days will be crowned 2018 Tout Daily Champion. Look for updates next week as Derek Carty looks to repeat as Tout Daily Champion. Here’s Jeff’s Week-20 winning lineup. Tonight’s the final contest of the Tout Daily regular season. The final three Golden Tickets into the champions will be awarded along with the wild card entry for the highest points total over the length of the contest. Here’s who the outs are relying on to get them to the promised land. German Marquez: Prefer him on the road, in a good pitching environment, with an Astros lineup missing Altuve/Springer. Anibal Sanchez: Anibal Sanchez ($8,600) – I need a Golden Ticket miracle tonight and will zig while the masses zag. Trying to save some money in starting pitching, so I am going with Anibal Sanchez to get the job and the sweep tonight at home against the Miami Marlins. Ronald Acuna Jr.: Ronald Acuna Jr. ($4,900) – Over the past 14 days, Acuna is by far the top ranked player. In this time span, he has 15 runs, 7 home runs, 14 RBI, 3 stolen bases, and a batting average of .375. Justin Verlander: I’m paying up ($12.6k) because I think JV has the best chance to post a 30+-point game, and an excellent chance to be 20+ points. Daniel Murphy: It had to happen that he would catch fire, good matchup against John Gant and the shaky STL pen, at a reasonable $4.2 cost. J.A. Happ: In two starts versus the Rays this year, Happ has registered a 2.53 ERA and a 1.13 WHIP and the Tampa Bay offense has struggled this month (13th in the AL in OPS). Marcell Ozuna: Consistently underpriced ($3,800 today) and facing the inconsistent Gio Gonzalez. Ozuna boasts a .311/.357/.481 slash line in 106 at-bats versus lefties this season. Robinson Chirinos: Gets a break from catching to DH tonight, batting 5th, in Texas, vs. LHP. Yup. Blaine Hardy: The sole objective tonight is scoring 50 more points than Wolfman to capture most overall points for the third straight season #humblebrag. Rick isn’t going to make it easy, he’ll play it SMART. So, I need to find a couple of spots to distinguish my lineup, Hartdy should help achieve that. it could backfire big time as the White Sox have some pop (not much else) and are running eight RHB up there, but I need something different than Rick. All the Mets: Man, putting the overall scoring title on the Mets sticks, I must be insane. Or, that’s how little I trust Andrew Cashner. Let’s talk a little ethics. How much contact should a competing owner have with a non-competing owner in terms of the latter’s roster management? Is everything game? Does certain prodding cross the line? What role should the league commissioner have in this? Mike Gianella (Baseball Prospectus, @MikeGianella): In terms of trades, it’s fair to make suggestions that will help your team, even if those suggestions also hurt a competitor. For example, if you’re out of it in saves but you can help the team in 8th “steal” a point from a competitor, I believe it’s ethical to suggest a trade that benefits you/hurts a competitor. Beyond this, the only sort of “help” you should offer is if a new owner asks for advice or help regarding rules on FAAB, waivers, trades, etc. It’s not kosher to volunteer help if you’re not asked. Even if your motives are “pure”, everyone acts in their own self-interest even when they don’t intend to do so. I don’t believe a commissioner should get involved unless there’s out and out collusion between two teams. Reminding someone when the FAAB deadline or trade deadline is isn’t collusion. Suggesting a move or moves that would push your team to victory – even if it isn’t a trade – can be collusion if you’re not offering this kind of “help” to everyone in the league. Doug Dennis (BaseballHQ, @dougdennis41): In a league of sharks like Tout or LABR, I think everything within the rules is fair game–except as Mike points out, collusion, which should not happen in a shark league anyway. In my home league, I think I would answer this differently, because we have sharks and minnows and you want to keep everyone happy (somehow) so the league doesn’t go supernova. We instituted a rule in my home league that I really like. After August 1, you may only trade with teams adjacent to you in the standings. This is very restrictive, but it solves most of the problems anticipated by this particular question. Craig Mish (SiriusXM Fantasy Sports Radio, @CraigMish): I notice immediately after the All Star Break in so many leagues the bottom feeders tend to drop off. Even though the outcome may be determined by a non participant I am leery of having too much say into what a team chooses to do, or in this case not do. Some of the websites provide a look into the date that the owner of the team has access and if I find that someone hasn’t logged in over the past month or so, that’s a pretty good indication that I don’t want that owner back in the league next season. I think that penalties imposed for inactivity are fine, but very hard to enforce if they are not in an expert league or high stakes league. The best course of action is to eliminate players who aren’t active in leagues in the future, by identifying them in the present. That has solved all the problems in leagues that I have commissioned. Tim Heaney (Rotowire, @Tim_Heaney): One of my favorite facets of Tout Wars: These leagues force those at the bottom of the standings to hit a certain threshold of rotisserie points — or a head-to-head level — to avoid losing FAAB next season. The key here is providing incentive to pay attention even if you’re going to finish out of the running. This opens avenues for just about every team to trade with each other, which allows for legitimate season-long opportunities. For the readers: If it’s a keeper/dynasty league, you’re probably going to have many competitors and non-competitors talking trade late into the season, even if the title and cash finishes are just down to a handful of teams. If there’s some way for the bottom feeders to benefit in the future, this is just fine. For leagues where nothing is on the line for those in the bottom half or more of the standings, it’s a slippery slope. Commissioners should make sure every club — even the laggards near the basement — pays attention, but any bottom-to-top swap or the general “hey, put your starting pitchers in so you can defeat my competitor” becomes suspicious. In such cases, those competing for the title or a cash finish should handle things among themselves. If you want to avoid dead spots in a normal redraft league, talk with your buddies about ways to keep everyone involved next year. I like the idea to reward someone who finishes with the best record/point total after the All-Star break: Give ‘em a higher draft pick or extra FAAB the following season. Todd Zola (Mastersball, @toddzola): I’m good with teams dealing with anyone in the standings. I’m not a fan of a competing owner asking another to replace an injured player (even without making an actual suggestion with respect to the activated player). That said, there’s nothing wrong with the commish sending a league-wide e-mail imploring everyone to manage their team to the bitter end. Brian Walton (CreativeSports2, @B_Walton): I am not exactly sure of what prodding examples are being suggested, but just because someone makes a suggestion, doesn’t mean I have to take action. I’ve never been the initiator of a “prod” so I cannot comment on that. If an owner becomes inactive, the commissioner needs to put that owner on notice that he will not be asked back next year if he doesn’t manage his team. Tout has penalties, reducing FAAB for the next season, intended to force owners to fight until the end. It also inhibits any temptation for imbalanced trades without having to create more artificial restrictions, which I also like. If your leagues don’t have such a rule, you might consider it. Mike Podhorzer (Fangraphs, @MikePodhorzer): We’re all adults here and as long as there is no legitimate collusion involved, then let the first place team whisper into the last place team’s ear about making some move that would ultimately benefit the first place team. Hopefully the last place team is ethical enough not to take action if it doesn’t also improve his own team. If we’re just talking about remaining active, as in keeping healthy players in your lineup and benching or DLing your injured/minor league guys, then the commish should assume the responsibility of ensuring all rosters are legal and filled with all Major League players. Brent Hershey (Baseball HQ, @BrentHQ): I think this is especially the case in experts leagues like Tout, but tend to think it also applies to other “home” leagues as well: That we’re all grownups here, and ideally owners are committed to playing out the entire season. So I think it does step over the line if a competing owner is giving advice to a non-competing owner—especially if the competing owner initiates. Sort of like in most trade-rule “veto” discussions, I feel the difference of opinion on matters like this—player evaluation or team administration—is going to exist, and by trusting each other’s judgement on decisions made fosters a healthier league environment overall. Rudy Gamble (Razzball, @RudyGamble): While I do not recall ever doing it, a friendly needle to replace an inactive player seems okay. Recommending whom to pickup would cross the ethical line for me. Jeff Mans (Fantasy Guru Elite, @Jeff_Mans): I think that assuming you know what other owners are going through is a very dangerous slope. It is one thing to say an owner is blatantly not paying attention or doesn’t care but unless you know for certain that they are just ignoring the league I wouldn’t make it a concern of mine. In an industry league such as TOUT Wars we all have bigger fish to fry than to monitor each others feelings about any particular league, player or game. For one of us to say that owner X should spend more time on a league when we have no idea on what that person does on a day to day basis is ridiculous. If any fantasy league wants to be about the industry, I think it is important to support it and those involved rather than try to pick apart somebody’s interest or activity. I can draw from experience on this as last season I was ripped apart for not making roster moves down the stretch. Few knew that the reason for this was a serious health issue that took me out of commission for nearly a month. Was it my fault that I didn’t perform a waiver move? Sure…but is that something that should draw the ire of fellow competitors? Absolutely not. I would suggest everybody enjoy the league, enjoy the experience and if you put in more effort and beat up on others that fall off for whatever reason late in the season…enjoy the win. Michael Rathburn (Rotowire, @FantasyRath): I’m the agreement with the others who said that we are all “big boys and girls” here and people should be minding their own rosters vs. giving advice to others. Phil Hertz (BaseballHQ, @prhz50): So long as there’s no collusion, pretty much everything is fair game. I’m copacetic about suggesting a team make a move. Indeed, in some of my leagues, failure to make logical moves can lead to fines and even the loss of a franchise . Ray Flowers (Fantasy Guru Elite, @BaseballGuys): If you’re in a league, and deals are still allowed, then deals that are “fair” should be allowed to stand, regardless of position in the standings. If leagues are worried about the elites picking off the bottom feeders, then leagues can proactively do things like stopping trades after the actual trade deadline or August 15th or whatever date is chosen. No matter what spot I’m in I’m always trying to improve in every league I’m in. I hope that everyone in the league feels the same way. If someone is willing to put extra time in, to find that right deal/match, I think they should be able to be rewarded for that. 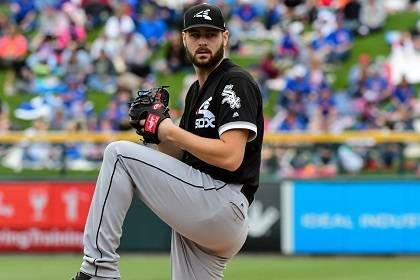 Patrick Davitt (BaseballHQ, @patrickdavitt): I think it depends on the league’s culture. 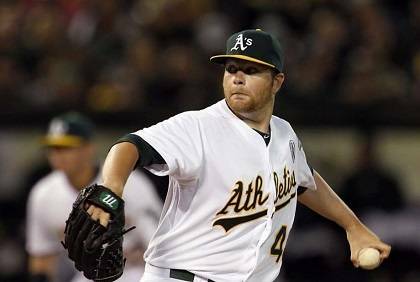 I was leading an AL-only home league way back in 2006. Bobby Abreu came over to NYY from PHI at the deadline, and I had the FAAB hammer. 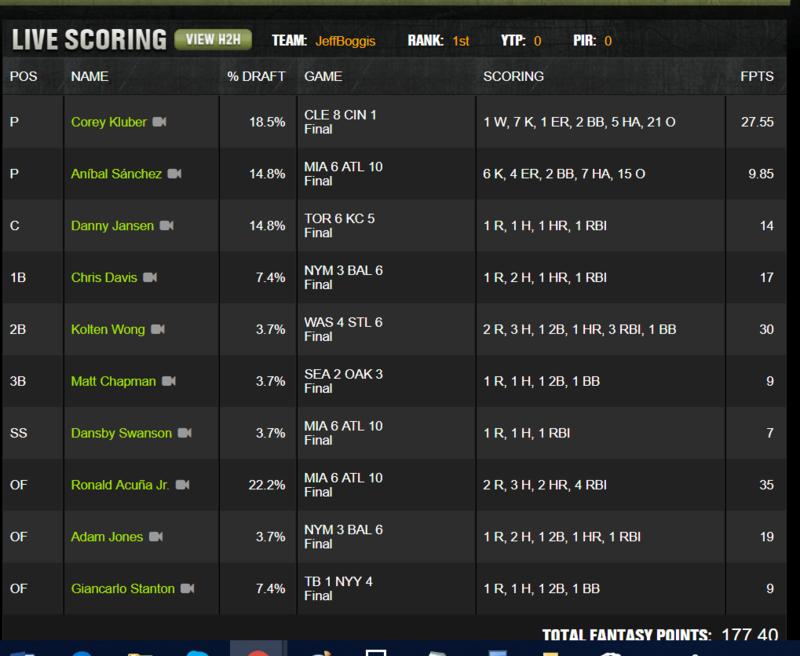 Getting Abreu, who was a four-cat player, (.277-8-65-20 when he was dealt) would have cemented my win. The second-place guy suggested to an also-ran a sequence of moves he could make to get the FAAB hammer and, therefore, Abreu. The also-ran did the moves and got Abreu, who only went .330-7-42-10 in 250 or so AB, pushing the also-ran past me in a couple of cats. I lost the league by half a point. The second-place guy called to ask if I thought he had crossed the line, and I said no. I asked around the rest of the league, and nobody had a problem with it. I later played in a different league where a similar situation occurred (not involving me). The commish polled the league and 9 out of 12 said it was unacceptable to “coach” another owner in what to do/how to do it. As you’d guess from the first anecdote, I have no problem with doing anything that isn’t against the rules. But I would not do anything like that in the second league, because it clearly went against the grain of that league’s owners. Todd Zola: I don’t know PD, I’d be livid over that chain of events. I don’t think there needs to be formal league rule prohibiting another league member from essentially managing another team, so the act doesn’t qualify as being not against the rules, at least for me. Jeff Boggis (Fantasy Football Empire, @JeffBoggis): Everthing is game. You can only advance in the league standings by either your players or someone else passing your competitors in the stats categories. Like trading, if a fellow league manager can help you this season, you will be more likely to return the favor in future seasons. I always sort on all statistical categories to see where I can advance or other league managers can pass my competitors. I will then check the rosters of the other teams to ensure that they are still being active, regardless of where they are in our league standings. I also look at the “last login date” to see the last time that our league managers have logged into our website. We’ve worked this hard over the past 4 1/2 months, so all league managers owe it to the league to actively manage their teams for the remaining 1 1/2 months of the season. Grey Albright (RazzBall, @razzball): I don’t tell people in my league how to manage their teams, instead I stew for months while someone keeps inactive players in their active roster, then I text Rudy something like, “Can you believe so-and-so hasn’t changed their lineup in two months?” Then I’ll write something on Razzball like, “I’m in a league with a so-called expert who hasn’t changed their lineup in a few months.” Then I’ll complain about it on the Razzball podcast for a few weeks. Then I’ll go see my doctor about some stomach pain, and he’ll say, “Grey, have you been stressing yourself out over someone in one of your leagues not adjusting their lineup?” And I’ll say, “No.” But I won’t tell someone in my leagues how to manage their teams. Fred Zinkie (Rotoworld, Baseball HQ, @FredZinkieMLB): I think Grey hit the nail on the head in his first sentence. To me, it crosses the line to tell other owners “how” to manage their teams. But it doesn’t cross the line to remind them to manage their teams at all. I don’t remember doing this, but if it helps my team in the standings, I would be willing to contact a non-participating owner and request that they maintain their active lineup from this point forward. But I’m not going to the next step and asking them to stream starters or insert power hitters etc. 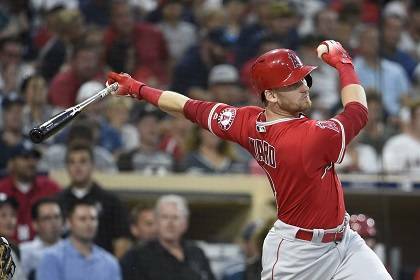 Glenn Colton (Fantasy Alarm, @glenncolton1): When one agrees to play in a roto baseball league, one is compacting with their league mates to play hard and fair throughout the season. As long as the down and out owner is being urged to make moves to gain more roto points (as opposed to dropping a steals guy to lose roto points), I have no problem with the lobbying. Of course, I hope that all players in my leagues have the pride to keep playing. ps – this type of question highlights why the tout rule of next year faab penalty is so good. It provides strong motivation to play hard throughout. Howard Bender (Fantasy Alarm, @RotobuzzGuy): If we’re looking at a dead team that has players who are on the DL or in the minors in their active lineup, then there’s nothing wrong with another owner reaching out via email with the commissioner CC’d. It is then up to the commissioner to follow through and ask the dead team’s owner to just set an active lineup. Personnel shouldn’t matter. If the team doesn’t have a replacement player then so be it. The DL’d or demoted player stays in their active lineup. But in no way should another owner ask a bottom-feeder to make a roster change because it would benefit their team. That’s the definition of collusion. Any requests such as that should be reported immediately and the requesting team should be given the boot. Gene McCaffrey (Wise Guy Baseball, @WiseGuyGene): I agree with PD – everything that the rules don’t forbid is fair game. And I would quit the league where other owners are allowed to veto my not-illegal moves or even worse my conversation. How is that not just another form of collusion? Tristan H. Cockcroft (ESPN Fantasy, @SultanofStat): If it’s policing dead roster spots (DL, deactivated players), I think it’s the commissioner’s duty alone. In one of my oldest leagues, the rules penalize for these, paid at season’s end and applied to the next year’s prize pool, with the commissioner first issuing a one-scoring-period warning to correct them before a team is subject to penalties. If it’s negotiating a trade that ultimately helps the other team improve in the standings potentially for your own benefit, that’s fair game. If it’s anything else, no way, no how. D.J. Short (Rotoworld, @djshort): As for getting in touch about a non-competing team’s roster management, I agree with many people here and stay away from that most of the time. However, there have been plenty of times where I mention something to the league commissioner, which could lead to a league-wide email or at least function as a reminder/documentation that the owner in question isn’t invited back the following season. I usually stay away from trading — or at least initiating — with non-competing teams just because the optics can be weird, but we’re all adults and have to assume that people are on the up and up. Obviously it’s not an issue in a keeper or dynasty format where other factors are often at play. Andy Behrens (Yahoo! Fantasy Sports, @andybehrens): If you play in any casual hometown leagues, then you already understand that prodding inactive teams to make moves in August and September is fairly routine. Under normal circumstances, I won’t go further than encouraging a manager to remove DL’d or demoted players from a starting lineup, but I don’t actually think it’s unethical to encourage waiver adds (as long as it’s merely a suggestion, not a roster takeover). Unless an action is outlawed by the league’s rules, it seems to me that it’s in play. Jeff Zimmerman (Fangraphs and Fantrax, @jeffwzimmerman): Going through the various, opinions, I’m of the remind but don’t help camps. Also, I find it might be better for any owner to put out a league-wide message. The only times I find owners get mad about this help is if hurts their team. Clay Link (Rotowire, @claywlink): I don’t think anyone should be meddling with other owners in regards their active lineups, telling them who to start/sit or harping on them to remove injured players. If it’s a regular problem, I think it’s on the commissioner to implement some sort of rule. One rule that I like that I have carried to a league: a three-strike rule against having multiple injured/minors players in your lineup. If an owner can’t take the time to set a good-faith lineup, they should be bounced to protect the integrity of the league. When it comes to trading, I personally haven’t had many experiences with sketchy trades between bottom feeders and contenders, but I think ideally there should be a league veto system to protect against any collusion or trades that alone could very well decide the league. Stephania Bell (ESPN Fantasy Sports, @Stephania_ESPN): As long as there is no collusion taking place, I am of the belief that most adults are capable of making their own decisions with integrity. There will always be gray areas when it comes to ethics (and that goes for anything, not just fantasy leagues). That said, consistency is key. If something is frowned upon or disallowed early in the season, as collectively agreed upon by the league via its rules, then it should remain the same throughout. And the opposite is also true. Interactions/transactions that are fair to start the season should be considered just as fair late in the season. Let’s have some fun with this week’s discussion. How would your league handle the scenario Patrick Davit described?